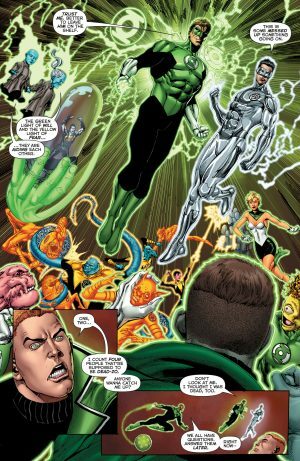 DC Comics Rebirth Spoilers & Review: Superman Villain Brainiac’s & New 52 Lobo’s Fates Revealed In Hal Jordan & The Green Lantern Corps #12! 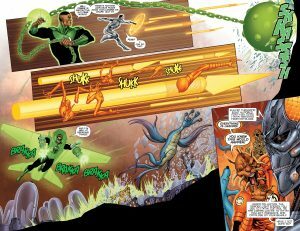 DC Comics Rebirth Spoilers and Review for Hal Jordan and The Green Lantern Corps #12 follow! …collectors and hoarders. 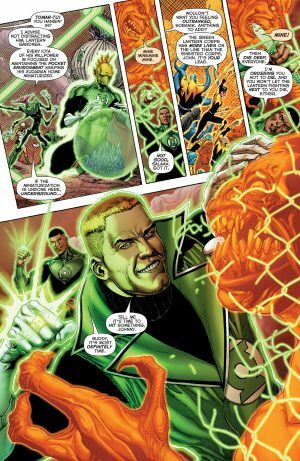 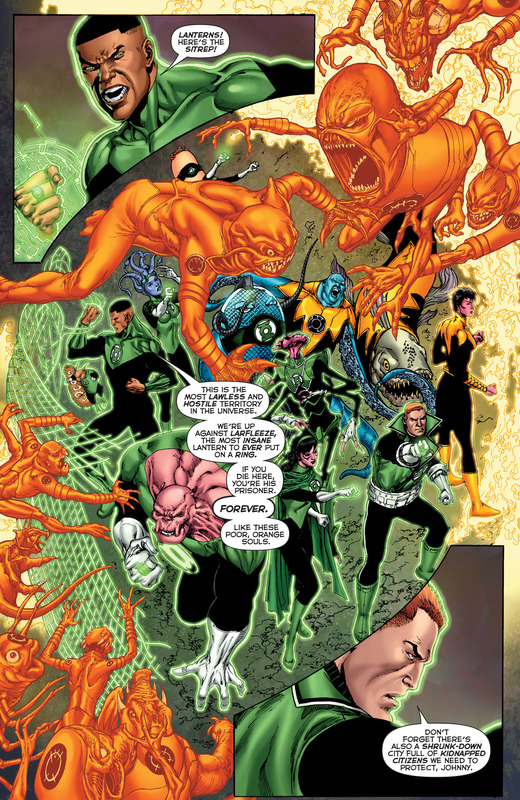 The GLC and Sinestro Corps are trying to save themselves and Tomar Tu’s people who are trapped as their city was bottled by Brainiac. Then we get the splash page teams shot of the GLC and Sinestro Corps! 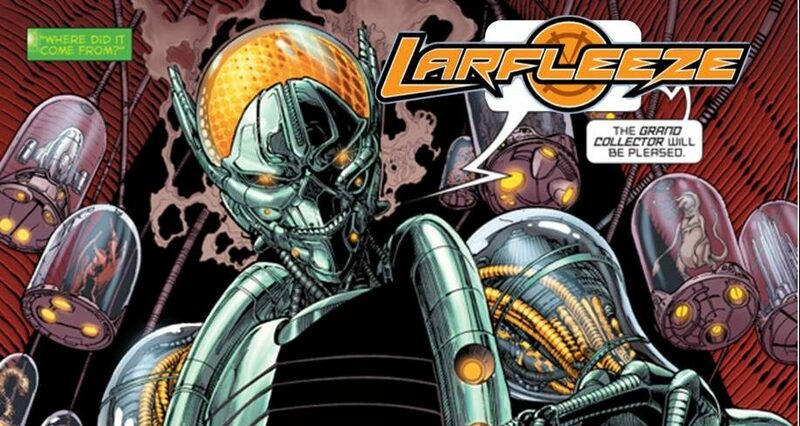 …but they start going after and destroying Larfleeze’s collections. We do get a glimpse of what happened to New 52 doppleganger Lobo in DC Rebirth; the new look Lobo is part of Larfleeze’s collection while the classic Lobo is wreaking havoc in Justice League vs. 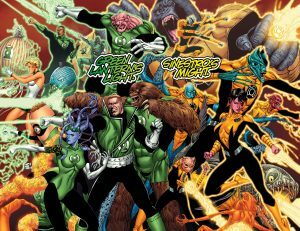 Suicide Squad. 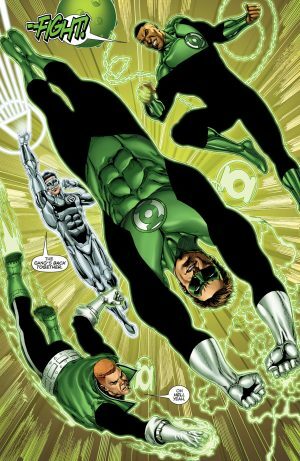 Enter Green Lantern Hal Jordan, White Lantern Kyle Rayner and rogue Guardians of Galaxy Ganthet and Sayd. 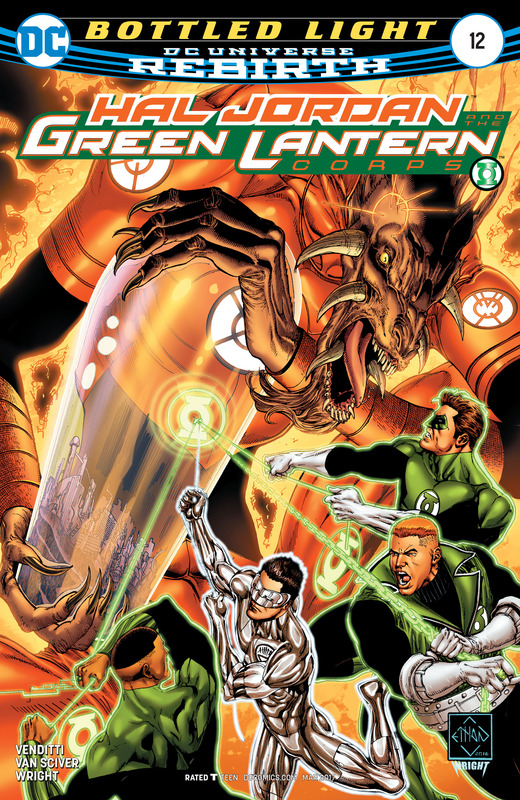 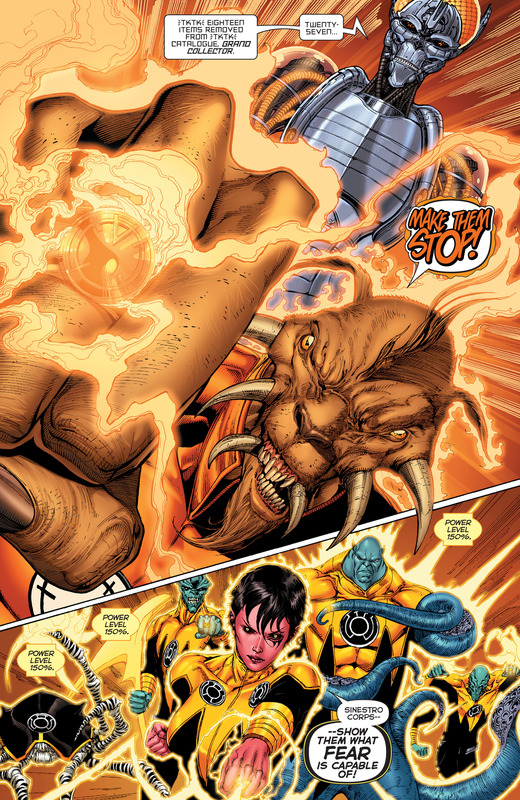 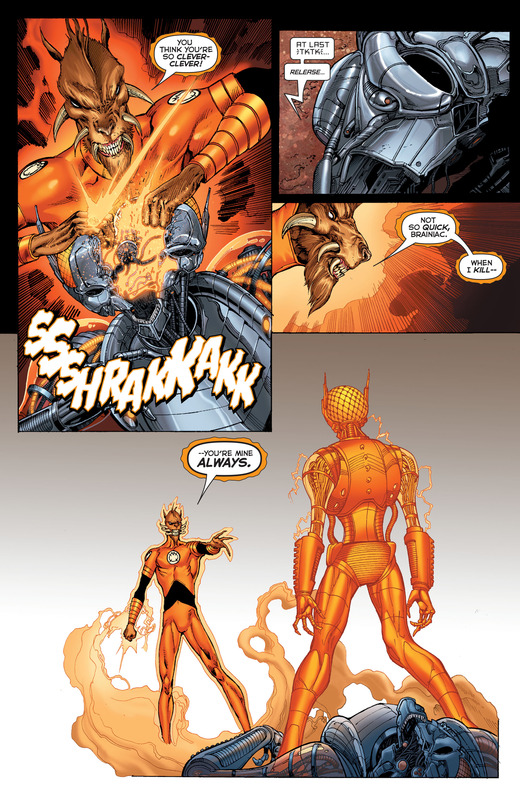 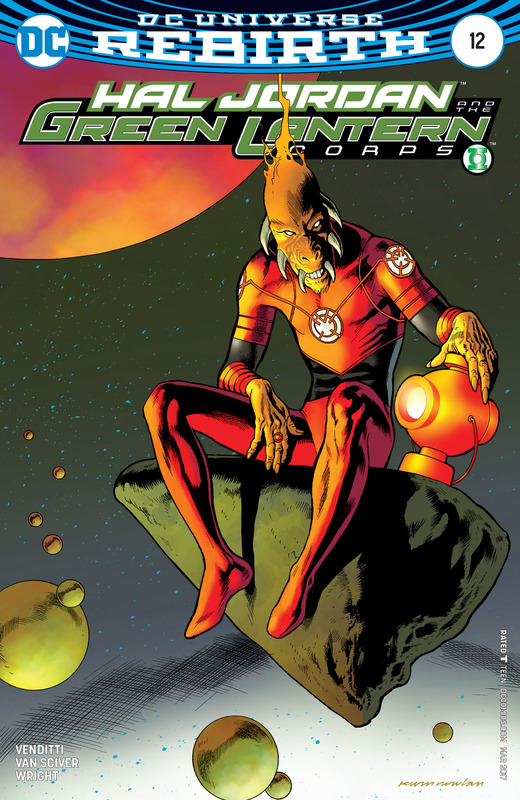 …as the combined teams continue working over Larfleeze’s collection to his dismay. 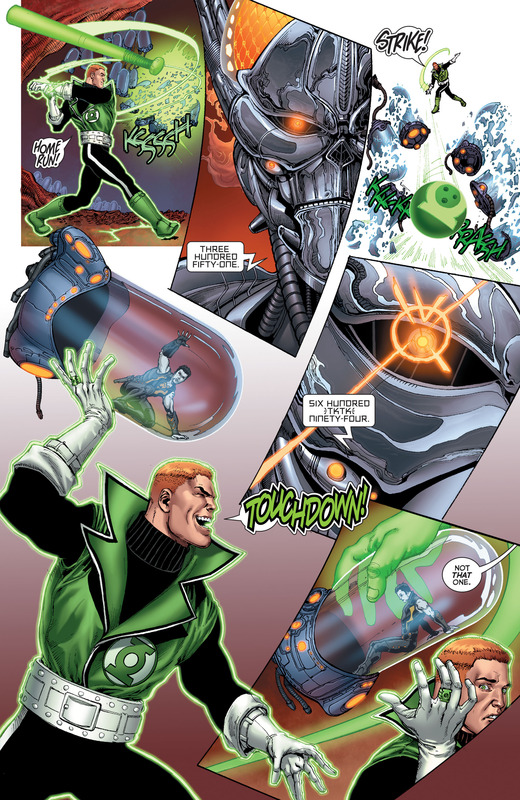 While I didn’t expect Brainiac to die, I do like the possibilities it opens for him and Brainiac. That part of story seemed rushed though. 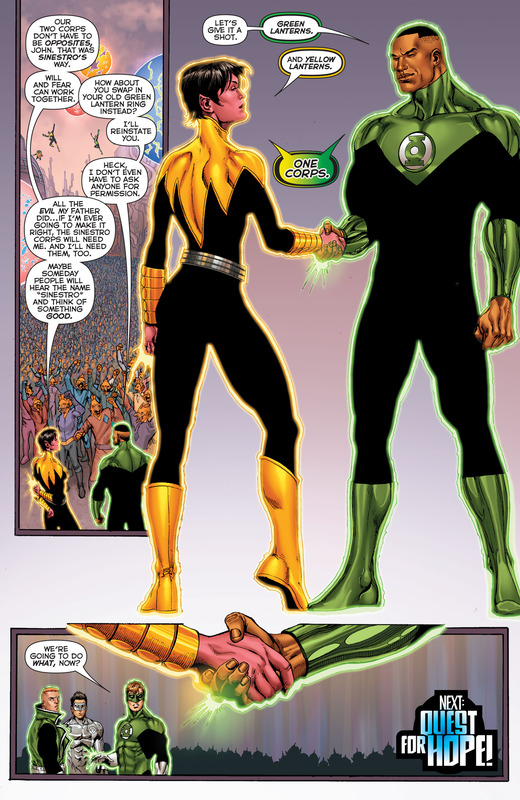 The ending corps’ partnership was also a surprise. 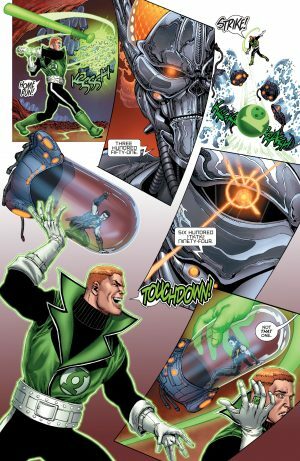 Solid story and art. 8 out of 10.